NH offers many selections when it comes to New Hampshire pet friendly lodging. We found great NH dog-friendly lodging in beautiful Sugar Hill, the scenic Lakes Region, the Monadnock area, and NH Pet Friendly Lodging in Manchester. Visit selected NH Pet Friendly Hotels below. 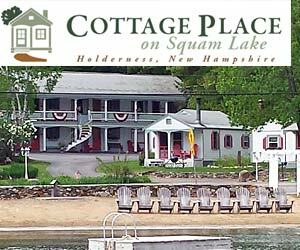 Cottage Place is situated on the shores of the pristine Squam Lakes in Holderness, the heart of New Hampshire’s Lakes Region and the foothills of the spectacular White Mountains. Stay with us, enjoy our property, a cozy night in front of a fire and easy access to year round activities that appeal to couples, families, outdoor enthusiasts, pet lovers and nature lovers. Plymouth Ashland Squam Lake area Pet Friendly Lodging. Unique and charming, this White Mountain lodging facility is guest friendly, clean, comfortable and affordable. 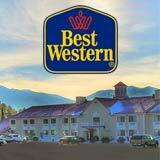 Pet friendly lodging for Franconia - White Mountains region of New Hampshire. 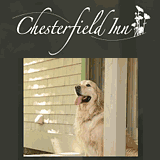 Chesterfield Inn is a charming bed and breakfast inn in Southwestern New Hampshire with comfortable rooms and great food, perfect for a romantic getaway. We welcome pets in our exterior rooms, which all have gas fireplaces. People love to travel with their pets and bringing the beloved family dog on a trip adds another layer of enjoyment for everyone. We’re all animal lovers here, and we’re delighted to welcome you and your pets to our New Hampshire pet friendly bed and breakfast. Enjoy numerous guest amenities, including pet friendly rooms and suites, free Continental breakfast, large indoor heated swimming pool, hot tub and separate saunas, a fully equipped modern fitness gym, game room, gazebo, playground, Wifi, business center, and a function/meeting facility, all in a great location. Visit New Hampshire with your dog or cat and stay at a sensational Marriott pet friendly hotel. We found Marriott Pet Friendly rooms and suites in the city of Portsmouth, Manchester, Nashua, in the White Mountains of NH and throughout the "Granite State". Marriott members check local rates and specials by following the link below. Add Your New Hampshire Pet Friendly Lodging Property to Bring My Pet. Find the best of New Hampshire in NH Living Magazine. NH Living offers direct links to Dog-Friendly New Hampshire Lodging. Find Pet Friendly rooms, Bed & Breakfast Inns, Motels, Motor Lodges, Hotel Suites and Resorts that will not only accept but welcome you and your pet. 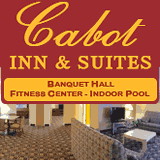 Compare NH Pet Friendly Lodging rates and find room specials. The very best NH pet friendly accommodations may be found in NH Living. Visit our suggested NH Pet Friendly lodging, reserve the perfect lodging for you and your pet. To feature your NH Pet Friendly lodging here, please contact us. New Hampshire loves pets and the pet traveler will find many lodging options here. New Hampshire is home of the Wallace Horse Cemetery in Littleton. The state is also a shopper’s paradise with an abundance of outlet stores and tax-free shopping. Choose from New Hampshire Pet Friendly inns, hotels, resorts and NH vacation rentals. Find more about NH in NH Living Magazine.